It’s no secret that Triumph Motorcycles is working on the Daytona 765 that will fill the void created in the British manufacturer’s portfolio after the departure of the Daytona 675 in 2017. 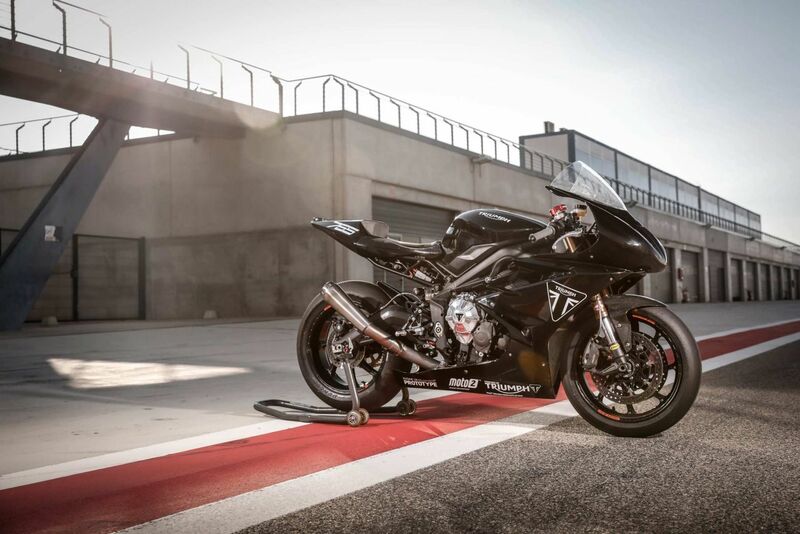 The upcoming Daytona will use the same engine that also powers the new Street Triple range. The motor, on the highest spec Street Triple motorcycle, the RS, makes a 123 PS. The Daytona will most definitely receive even higher performance numbers. 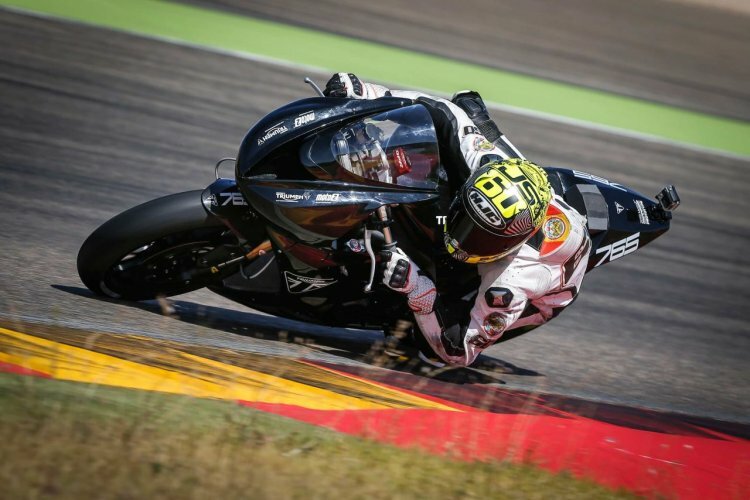 The Triumph Daytona 765 would benefit from the British brand's learnings from Moto2 prototype developments. The middleweight supersport should debut at this year's EICMA motorcycle show. The British two-wheeler brand will also benefit from its experience in motorsports. Regular followers would know that Triumph’s new 765cc inline three-cylinder engine would replace the straight-four motor from Honda in the Moto2 class of MotoGP from 2019. While the details are scarce at the moment, one thing is certain that the motorcycle would come equipped with a Euro-5 compliant motor. The 765cc, liquid-cooled, 12 valve, DOHC, in-line 3-cylinder engine on the Street Triple RS makes 123 PS / 121.2 bhp at 11,700 rpm and 77 Nm of peak torque at 10,800 rpm. The power figures on the Daytona 765 could hover between 130 PS to 140 PS levels. The updated Daytona would be a threat to the middleweight supersport motorcycles like the Kawasaki Ninja ZX-6R, Yamaha YZF-R6 and the Ducati Panigale 959. Styling would receive an overhaul although the next-generation would retain the horizontally placed twin-pod headlight setup. The fairing would receive aerodynamic updates that would benefit from Triumph’s experience in developing Moto2 spec motorcycles. Similar to its predecessor, the upcoming Triumph Daytona 765 should arrive in two variants – Daytona 765 and Daytona 765R. Expect the standard option to use KYB sourced suspension and Nissin brake callipers. The premium variant, on the other hand, would benefit from Ohlins suspension and Brembo brake callipers. The electronic package would also get a major overhaul to compete against the current crop of middleweight supersport motorcycles. Thus, the Daytona 765 would pack multiple riding modes, cornering ABS, quickshifter with autoblipper, and switchable traction control. The quickshifter with autoblipper would most likely be reserved for the premium variant. Triumph Motorcycles has signed a three-year contract with Dorna to provide its 765cc inline three-cylinder in Moto2 class of MotoGP from 2019. The motorcycle should make its debut at the 2019 EICMA motorcycle show towards the end of the year while the deliveries could commence in early 2020. India launch could happen in mid- to late-2020. The Daytona 675R was sold at an ex-showroom price of INR 12.87 lakh. The upcoming model should carry a premium over its predecessor and arrive in the INR 14-15 lakh price range.